My boyfriend being the lovely person he is decided to order this in for me for Valentine's. This was the one thing I really wanted from the collection, but was slightly disappointed when I'd read reviews mentioning that it really wasn't a good product for blusher. However, after giving it a go I can thankfully say that's not the case with me. I'm not the palest of people, but I am still quite pale and it can very easily be used as a blusher on me. The packaging has seen mixed reviews, with some thinking it of tacky, whereas I personally love it. 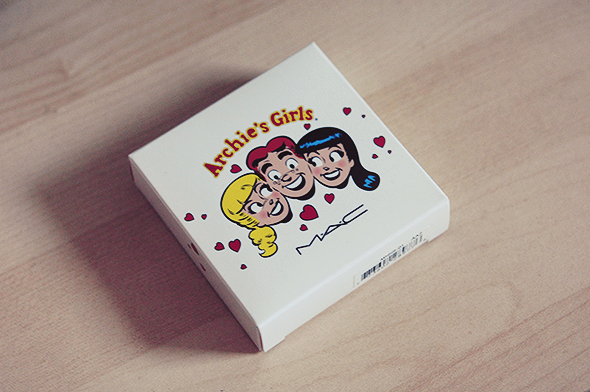 I love anything cartoon-y and think it's a fresh change from MAC's regular designs. Veronica's Blush is a pearl white-pink powder embossed with matte pink hearts. It can be easily used to highlight the face, or even used as an eyeshadow but I've preferred popping it on my cheeks for a sheer wash of colour. 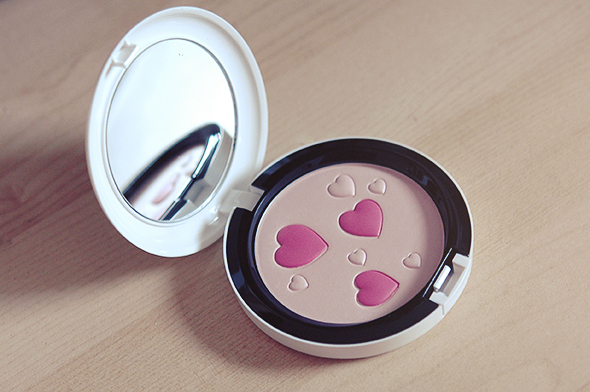 It's great for those who don't want to go overboard with their blusher, as it's subtle yet emphasising. I do think that it would be less fitting on darker skin tones as the colour may not be distinguishable from the pearl white base but as a highlight I'm assuming it wouldn't be a problem. It's very finely milled and doesn't feel chalky to apply. I'm not really one to gush over highlighting products and I don't have many in my collection, but I'm really pleased with this and I'm glad I didn't let other reviews sway my opinion. I'm now waiting for Archie's Girls to appear in Debenhams, as the Ronnie Red lipstick looks gorgeous and free delivery plus points sways me slightly! Veronica's Blush is still in stock on the Selfridges website so if their delivery cost doesn't phase you I would really recommend picking it up! 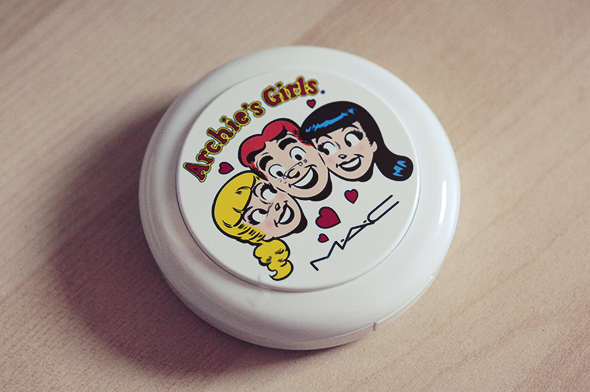 Have you bought anything from the Archie's Girls collection? I ended up refraining from the rest of the collection but I really wish I'd picked up Ronnie Red!